Crab Apple Structure at the Morton Arboretum - Ravenswood Studio, Inc. 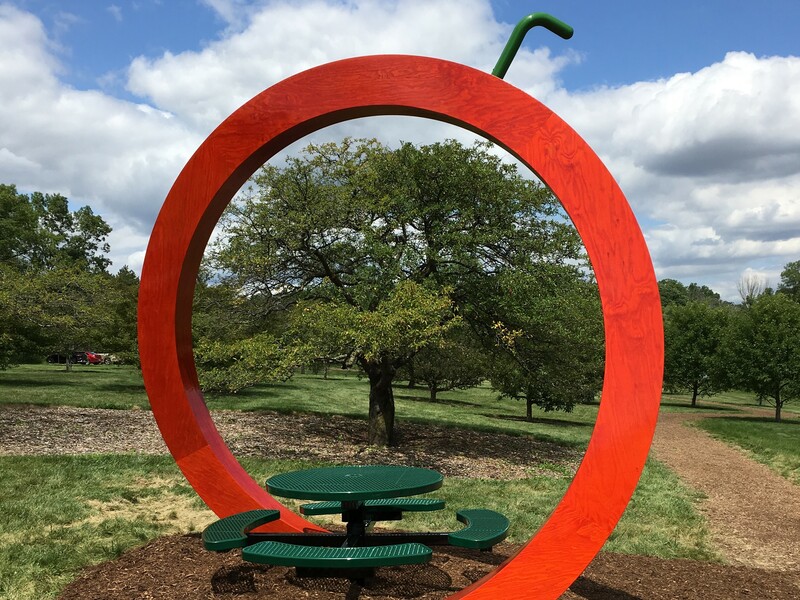 This stylized and sculptural crab apple is sited near a large crab apple orchard in the internationally known Morton Arboretum. Our carpenters created it by laminating 19 layers of CNC cut ½” plywood that was fitted to an elaborately made form that accommodated the entire lamination process from beginning to end. When finished the piece was over 11’ high and weighed over 1100 pounds. The brilliant orange color was achieved by dyeing rather than staining the wood. In order to withstand the changeable Midwest weather, we applied five coats of marine epoxy followed by five coats of marine varnish. 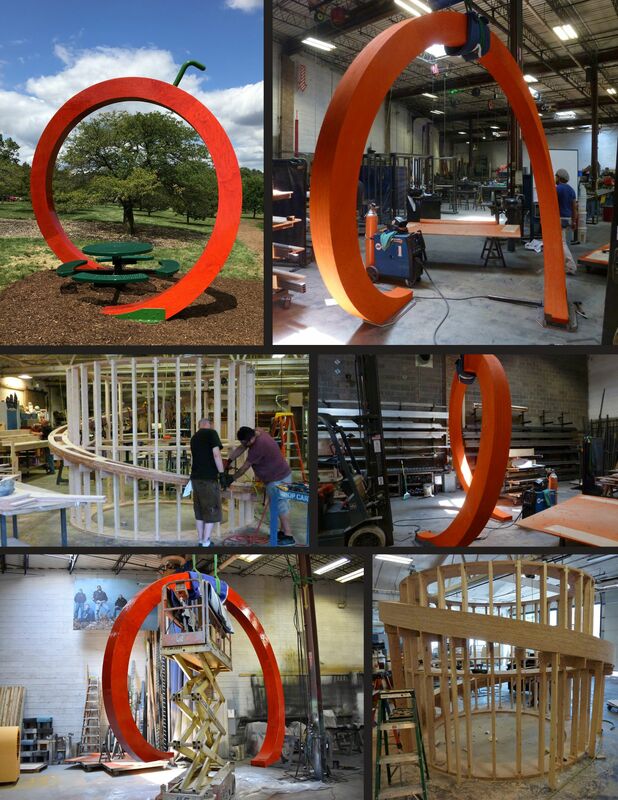 The big sculpture was fitted for steel shoes and then bolted to concrete pads to become a permanent sculpture in the park.